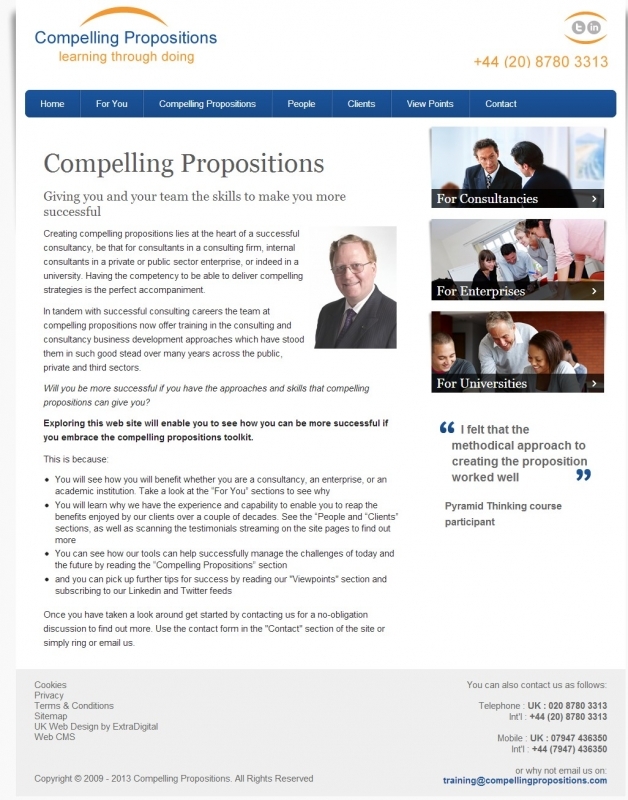 A team of training consultants in London needed a new site to market their new offerings aimed at different markets in the UK. These markets included universities, other consultants and for businesses across the public, private, and third sectors. 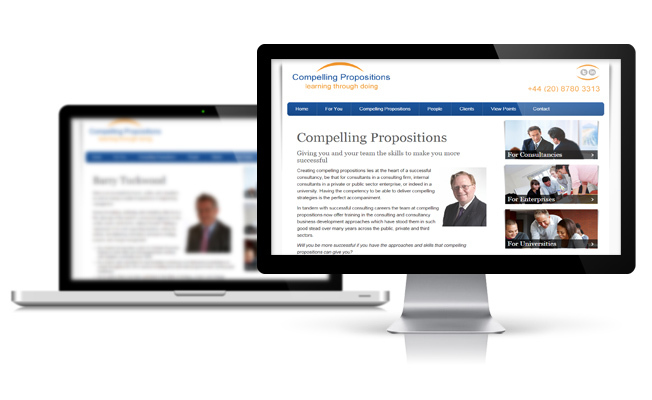 We had already produced several websites for the consultants before and had shown a good understanding of their needs. The client provided us with the content and an extensive brief for the project. The brief included all the copy, images, navigation structure and information needed to be displayed. It was down to the design team to make sure the information was displayed in an informative, simplistic and ‘compelling’ way as well as making the content clear and accessible as possible. Review the designs with the client, making alterations based on client’s comments. Installed a testimonial sequencer to display comments from past clients in a dynamic and eye catching way. 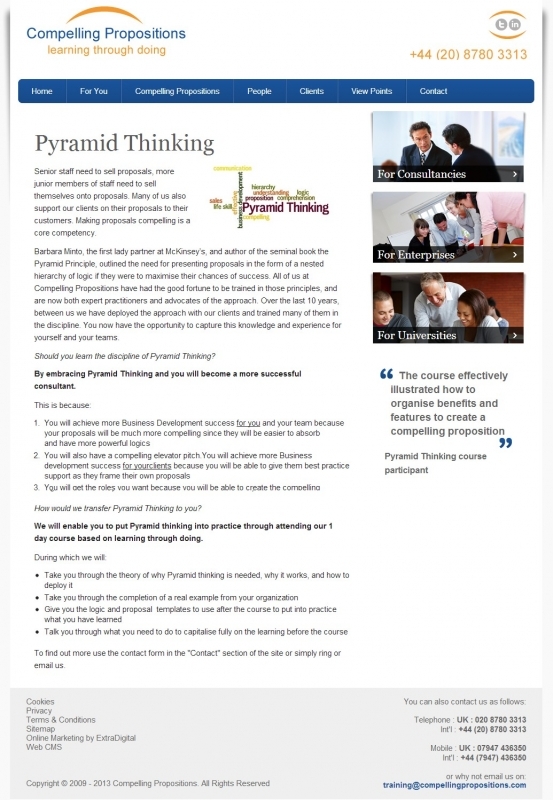 These are captures taken from the finished website when it went live, showing the main homepage design and an inside page. Click to Enlarge. ExtraDigital offer a comprehensive marketing website design service for a range of businesses and sectors including web design for consultants and businesses. To learn more take a look at our range of business website designs or contact us today to get an initial, free website review and find out how we can bring your business to life online.